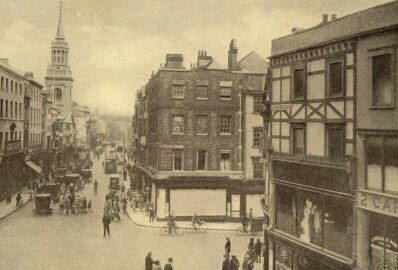 Carfax, looking west from the High Street towards Carfax Tower and Queen Street. 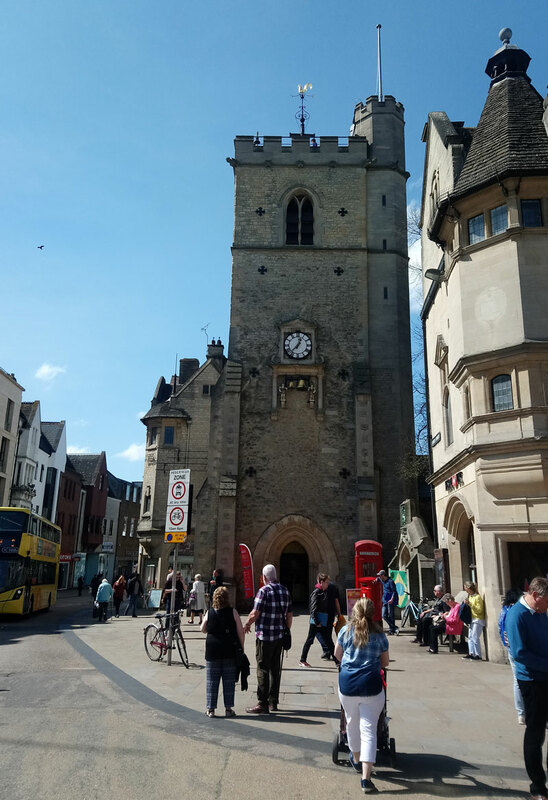 Carfax is the ancient heart of Oxford: its name is derived from Quadrifurcus, where the four road from the four city gates meet. It is dominated by the thirteenth-century church tower of the former St Martin’s Church, the main part of which was rebuilt in 1820 and then demolished in 1896 in order to widen the street. 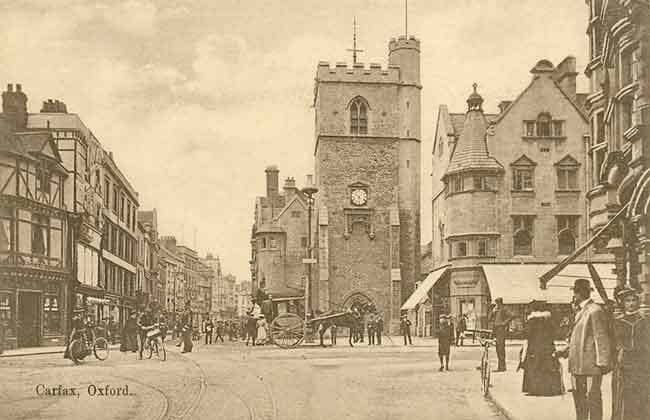 This picture on the English Heritage website shows the church in 1890. (described as new in the Oxford Chronicle for 11 October 1884 and now replaced by Marygold House). Below: Carfax looking south, 1775. 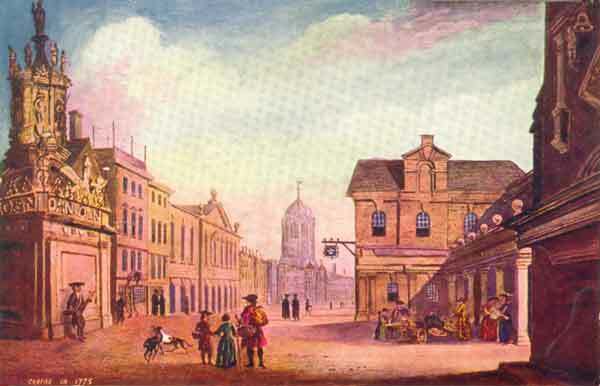 On the right of the painting is the corner of St Martin’s Church, with the butter bench on the other side of Queen Street, where Abbey House is now. 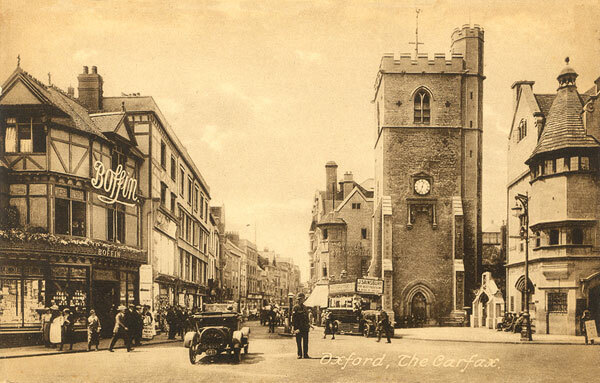 On the left in the middle of the road is Carfax Conduit, and in St Aldate’s are the former Town Hall building and Christ Church.